Whether taking a walk, playing a sport or just going about your routine, you enjoy activities more without joint pain in the way. At each of the Legacy Total Joint Centers, we can help you get back on track, quickly. One of our orthopedic specialists will work with you to create a personal plan, with treatments ranging from physical therapy to partial or total joint replacement. 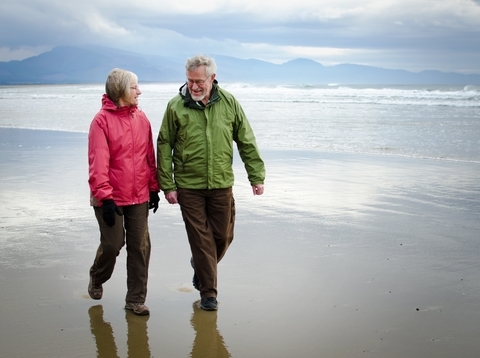 If joint replacement is right for you, rest assured you’re in highly skilled hands. Many of our surgeons use Mako robotic-assisted technology, which often offers less scarring, faster recovery and a quicker return to your active life. To register for a seminar, call us or fill out the form. Highly skilled team: Led by nationally renowned physicians, plus orthopedic nurses, physical therapists and more specialists who work together to meet your needs. Advanced techniques: Including Mako total knee replacement for better precision and less incision. Total Joint Center: Seamless, coordinated care to see you through every phase of your joint replacement journey.